MLB The Show 17 update 1.06 for PlayStation 4 is now available for download. The latest update brings various improvements and fixes. The update also made adjustments to numerous Matt Vasgersian commentary lines. Recently, Sony released update 1.05 with improvement to online stability and more. Adjustments made to numerous Matt Vasgersian commentary lines. Hot Zones now correctly appear on the first pitch of an at bat with Quick Counts on. Fixed a warping ball issue following a pickoff attempt. Fixed an issue where the base covering fielder would be facing the wrong direction after a sacrifice fly relayed into 2nd base. Road to the Show no longer displays a “first at-bat” presentation for every at bat of Spring Training. Fixed a crash that could occur when attempting to steal with multiple runners on base. Shiny helmets are no longer displayed as Matte helmets in Diamond Dynasty mode. Adjustments made to throw urgency following a back pick to 1st base, with the runner attempting to advance to 2nd base. Item cards will now display an “Events” icon if there is an Event in progress and the player is qualified to participate. Throwing difficulty has now been locked to “All-Star” difficulty in Diamond Dynasty games. 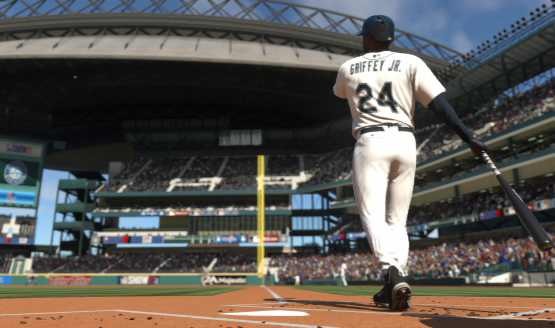 MLB The Show 17 update 1.06 fixed instances in which one user could receive a blue screen crash. Several adjustments made to the Pulse Pitching interface, cleaning up pitch callout location displays. Fixed the way Guess Pitch would give inaccurate results if the other user was using Pulse Pitching. Corrected an issue where the Pitch Analysis would not reset properly during Showtrack presentations. Adjustments made to Fenway Park and Rogers Centre walls and foul poles to prevent hits from being ruled incorrectly. MLB The Show 17 update 1.06 corrected a Home Run wall distance marker in Old Yankee Stadium. Removed the HDR Intensity slider from the options menu. Check your update and download MLB The Show 17 update 1.06 for PS4.